First, the reason for my tardiness was an unexpected winemaker luncheon, (one of the best experiences of all of my travels, eating and drinking with winemakers and executives from Frank Family, Schramsberg, and others) and traversing the very steep slopes of Hidden Ridge would have been ill advised given the plenty of the wine at said event (driving probably was too). Second, the lack of scenery (crush pads are not bucolic places per-se) left me no option but to pour my sensory observations into the flavorful wines we were sampling from barrel and bottle and the incredibly rich conversation Timothy and I enjoyed. The rustle of the wind was replaced by the hum of fluorescent lighting and the song of birds by the back-up warning of a forklift, but the conversation was unmatched. If wine criticism is about summing up a wine, a producer, or a vintage with a few pointed sentences, A Long Pour is and always has been about barely scratching the surface of the story and people behind the bottle. If it is the vineyard that ultimately makes the wine, it is the conversation that makes the story. While there is no substitute for the right land, good wine, great wine, is more than just smart GPS coordinates. Wine of heart and soul comes from winemakers of heart and soul. 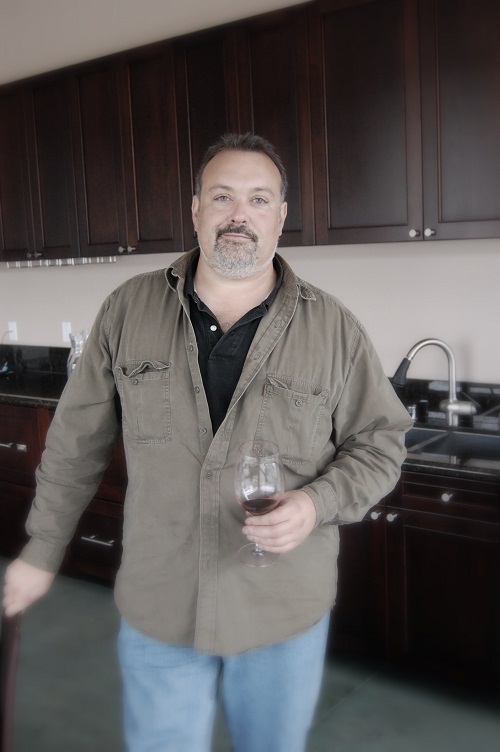 Timothy, a seasoned veteran of the Napa wine community, isn’t one of those, “let me tell you the percentages and math equations I use,” kind of winemakers, nor is he a “wait until you see our marbled tasting room,” kind of a guy either. He is, at his heart, a craftsman, a devotee to the art of wine, and more importantly the land that makes his art possible. As a winemaker, cutting away anything that didn’t look like an elephant made a lot of sense to Pippig and it became a metaphor for his own viticulture practices, literally cutting away any factors that don’t look like they will make great wine. It was a lesson not lost on the artistically inclined Milos. The most important part of the equation is the stone, the vineyard. Without the right stone the artist cannot have his elephant, the vintner his great bottle of wine. Without the vineyard, nothing is possible. Hidden Ridge is such a stone. 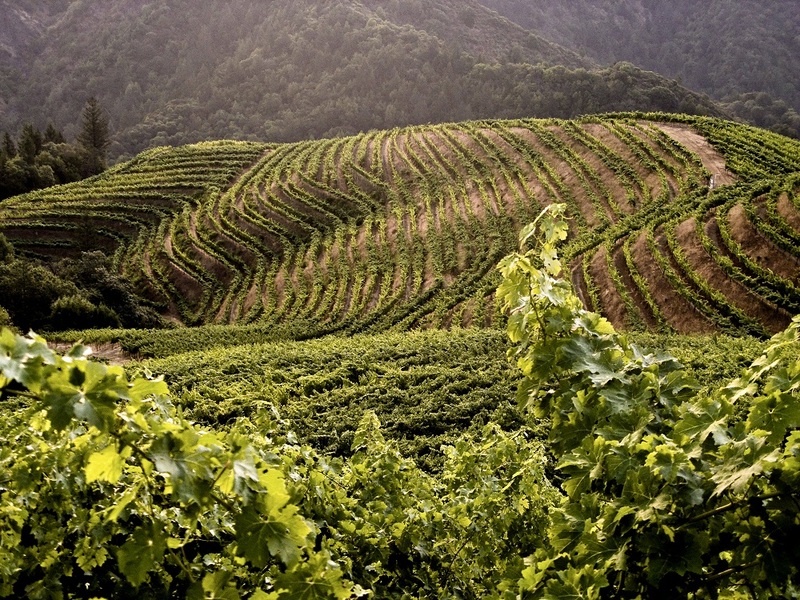 Spanning an elevation gain of 800ft and rising to a maximum height of 1,700ft on terraced slopes as steep as 55%, it is an isolated and rugged place to grow wine. It is ideal for the terroir driven Milos. The vineyard is unique not only in its geography, but in its isolation too. 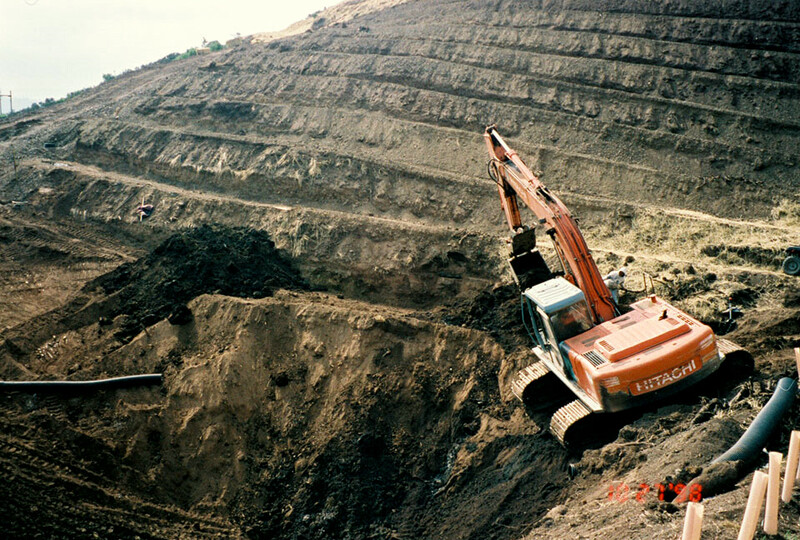 In its unique isolation, there was a need for creative dedication to even get the project of the ground. Vineyard owners Lynn Hofacket and Casidy Ward, carved the terraces themselves, going so far as designing their own tractors to navigate the intense slopes. Theirs, was more than an investment of treasure, theirs was a sweat equity project, a gigantuine effort of will-power and moxi. 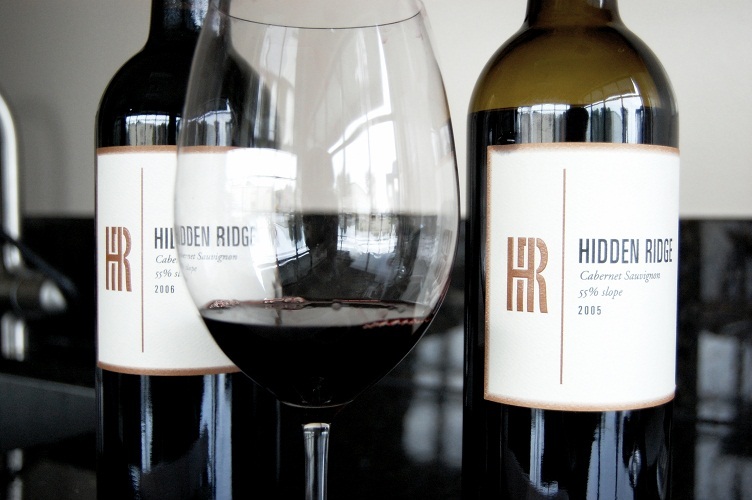 It is this extra attention on the vineyard that drives Hidden Ridge wines. Of course, what Timothy means to say is, “these aren’t small Cabernets,” and yes their wines lean towards higher alcohol levels. The alcohol debate has become something of a battle cry, both in traditional and new media. It is a call to arms I increasingly ignore as my small collection fills with 12.5’s, 13.5’s, 14.5’s, and yes a few 15.5’s too. While I grow vexed with the endless debate and I do not subscribe to either camp (lower or higher), I was intrigued enough by some of his statements to ask Timothy about the controversy and what he made of it. His answers were surprising to me in their clarity. ALP: What do you think of the alcohol debate? ALP: So the alcohol levels come with the ripeness you want? By now we had wondered into an area of the facility used to host groups and Timothy had me guess the alcohol content of a 2006 Hidden Ridge Cabernet he had opened. I knew where he was going with this; still I guessed high 13’s. It was actually 14.6%. Maybe we all need to pay attention more, to what is actually going on, to what is actually being said. Is it so wrong that there is so much diversity of opinion, does not one person’s perspective challenge the others? Is this not how we grow, how we change, how we get better? It was grey and wet when Timothy and I parted ways. As always, the wines that were tasted fade on the palate, but the words remain. The gifts I receive do not come in a bottle, they come in experiences like this. That I have the chance to include a guy like Timothy Milos, who is smart, and funny, and charming, and talented, to the growing list of brilliant winemakers I have sat and conversed with is a great privilege, one I wouldn’t trade for anything. What a great story! I agree with Timothy. The key to knowing whether a wine is good or not is balance. How does everything come together (fruit, acidity, alcohol, tannin, finish)? That’s how you judge a wine, not just off personal preference. And as a person who writes about wine myself, I love the statement “The gifts I receive do not come in a bottle, they come in experiences like this.” At the end of day it’s not about what wine I’ve sampled with a particular food, its about sharing a moment with someone, opening myself up to the world or to a particular experience and enjoying the journey.